Well last week saw the measuring and cutting of a massive piece of oak into the individual components for the console table. This has been a huge learning curve as it wasn't just about drawing the shapes into the wood as if marking out an air-fix template and joyfully sawing away. 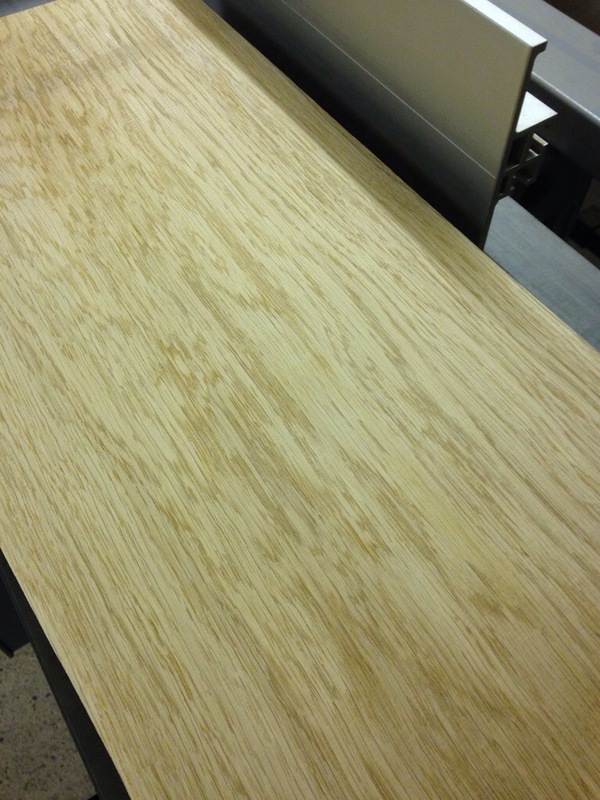 Creating something fine demands careful consideration on grain direction, getting a continuous flow of the wood around the sides of the piece and selecting some interesting grain pattern for the top and drawer front. 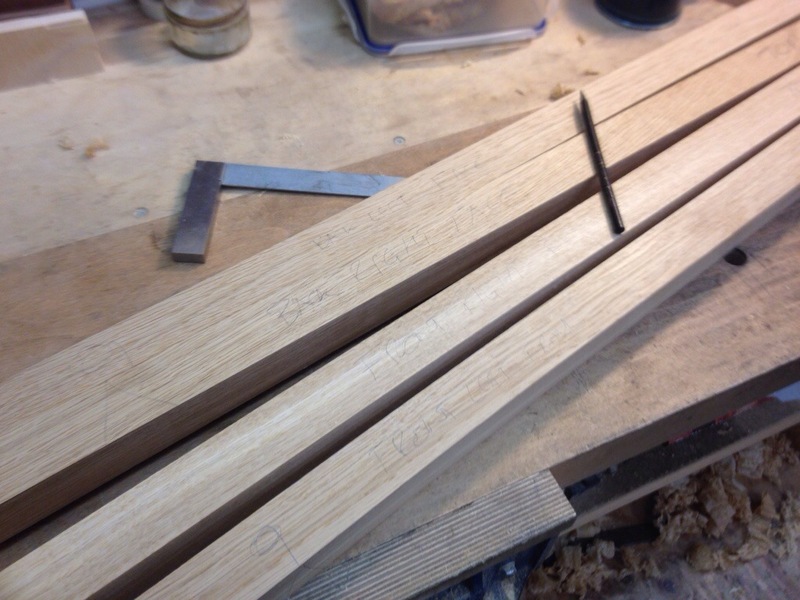 The legs also require thought, in order to get the same look on the faces of the legs it's important to cut the wood so the grain is running diagonally across. All this changes the air fix template into a rather complex jigsaw, as I can't see the picture taking place here hoping I got it right. 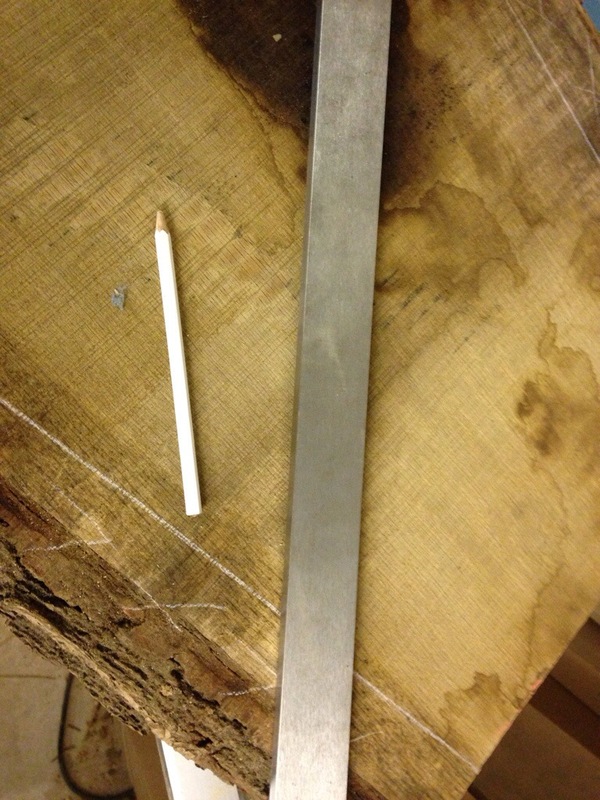 See below the transformation from a rough piece of timber to something tuned to size. The two pieces of wood with the diamond pattern balancing in the leg allows you to see if there is a twist in the wood. 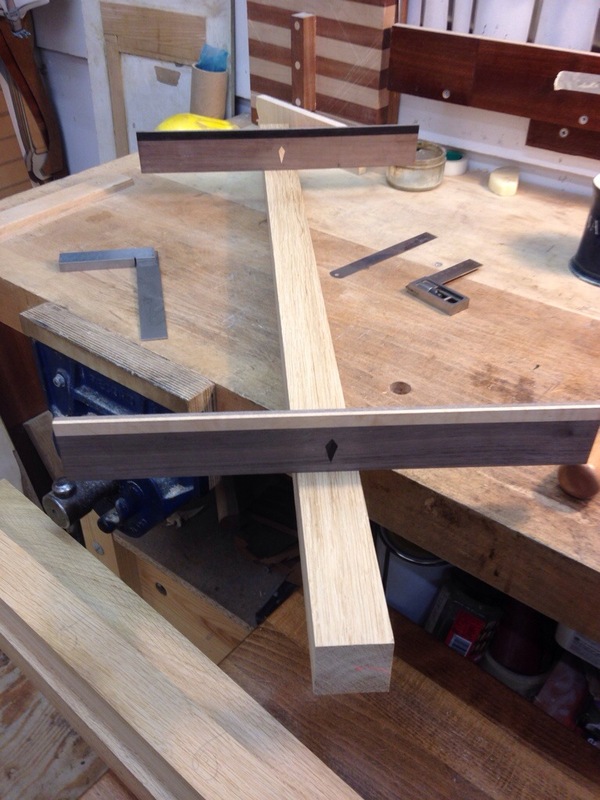 Next week I will be working on the joints for the legs, back and sides; fingers crossed we will all start to see something that looks like a table.